If the apparitions which are said to have been witnessed at Fatima in 1917 had taken place centuries earlier they might have been described as Fairy encounters or visions of spirits and demons. Today, though, we might describe them as UFO events or perhaps messages from other dimensions. That is, of course, if we take these encounters as legitimate, physical experiences. The phenomenon of a cultural and religious paradigm filtering, then defining, the meaning of anomalous events is a bias that is often purposeful and deliberate for many reasons. Control and fear are just two of them. 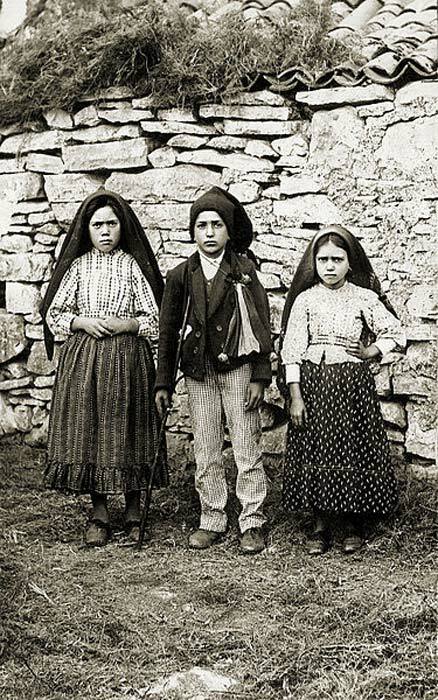 In early spring 1916 three local shepherd children, Lúcia Santos and her cousins Jacinta and Francisco Marto reported that they were visited by an angel on several occasions. These visits later became known as and attributed to the Roman Catholic title - Our Lady of Fatima, or the Virgin Mary. As word of this spread, thousands of people flocked to the area to visit the children and the location of the event. It was said the visitor had promised a miracle for October 13 the following year. During the Miracle of the Sun event on October 13, 1917, over 80,000 people witnessed an event at Fatima where a bright disc-like object spun through the sky and swooped over the crowds below. The disc radiated colored lights and is said to have emitted heat before returning to the clouds. Sketch of the Being of Fátima , 1917. Perhaps one of the most curious factors relating to the Fatima apparitions, for example, is that they were seemingly predicted by a group of psychic’s months in advance. While this leads us no further in terms of an explanation for the visions, it does allow us to understand how the events at Fatima have been shaped to suit a particular religious interpretation as opposed to a stranger, and less definable series of encounters. The Catholic Church views psychic predictions and the occult as belonging to the demonic realm so it is only natural that they would have wanted to suppress the claims of psychics who documented their communications with a deity, which the church would later identify as the Virgin Mary. But before looking into these prophecies, which were printed in Portuguese newspapers months in advance of the Fatima events, we should first understand the social climate which existed in Portugal at this time. Portugal at the beginning of the 20th century was a Catholic country but the establishment of the Portuguese First Republic in 1910 resulted in a period of instability and religious persecution. Bear in mind, also, that the shadow of the Inquisition still weighed heavily upon European populations, with the last ‘witch’ execution having taken place only in 1826. Behind Portugal’s orthodox exterior, folk and spiritualist beliefs had always existed hand in hand with Christianity, leading to a strange mix of Pagan and Catholic saints and Holy figures often being interchanged depending on the feast day or time of the year. This was not always expressed openly, however. The area around Fatima has a long history of Pagan practices. The local folklore contains many stories of fairies and otherworldly encounters. The rocky terrain and mountainous area is similar to the Benbulbin area of western Ireland which also has a long tradition of a supernatural and mysterious people called ‘The Gentry’. These fairy-like beings are said to sometimes interact with humans, offering advice or warnings. At other times they seem to look upon humans with disdain, often hinting that they are in some way superior and more evolved. It was in the anarchic social climate of traditional Catholicism and progressive politics that a group of Portuguese spiritualists began to receive messages or ‘transmissions’ predicting a series of extraordinary events which would take place on May 13th, 1917. (This was the day the Fatima apparitions began.) The mediums were said to be so affected by the messages they were channelling that they decided to document them in newspaper ads and articles so that nobody could later say that they had not been authentic. 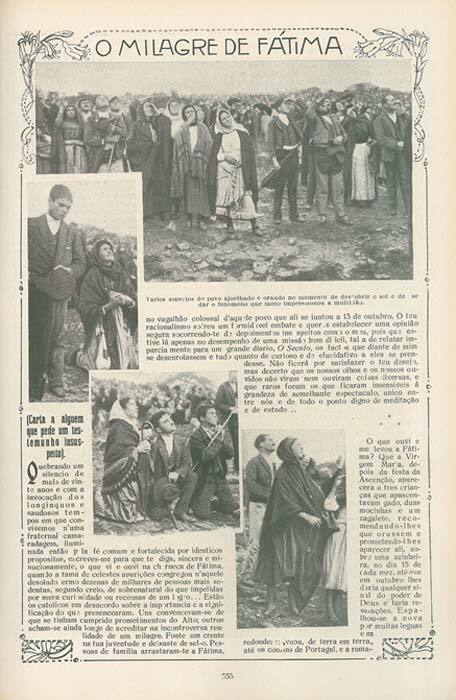 According to Filipe Furtado de Mendonce, writing in his book A Ray of Light on Fatima , the group of mediums first took out an advert in a local newspaper, Diario de Noticias , where they announced that the forthcoming date of May 13th would be a “day of great happiness” and one which “the brilliant light of the “Morning Star” will illuminate the path.” Another remarkable fact about this message is that the psychic channeler wrote it down backwards and it could only be read by holding the sheet of paper towards a mirror. This phenomenon of backwards writing occurs many times throughout the history of spiritualist and shamanic communications, particularly in traditions that claim to contact star-people. The original announcement printed by the paper is still in the archives of Diario de Noticias and can be referenced today in the edition of March 10th, 1917, a full two months before the Fatima events took place. In Porto, another group of psychics were receiving similar transmissions and also decided to document their communications so as to be able to prove their predictions. This second group received a message saying “something transcendental” would happen on May 13th. Again, in order to substantiate the communications, ads and notices were taken out in leading Portuguese newspapers such as O Primeiro de Jeneiro , the Jornal de Noticias and Liberdade. The person attributed with receiving these messages was a well-known Portuguese psychic called Mr. Antonio. Whether it was just a slow news week in Portugal or something else entirely, the fact is that these notices taken out in newspapers created quite a stir and many sceptics and spiritually minded people alike waited to see what, if anything, would occur on May 13th. The reported apparitions that followed have created a legacy that reverberates around the world even today. However, many aspects of these apparently supernatural events have changed considerably in terms of how they were originally reported. 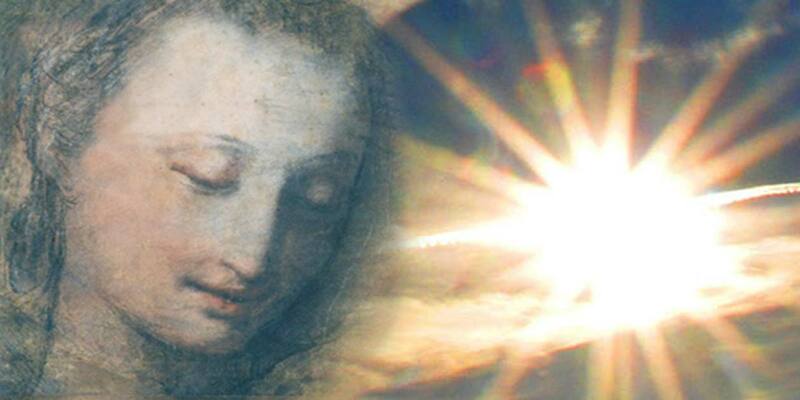 The so-called ‘Miracle of the Sun’, for example, is perhaps the most famous supernatural mass-vision in recorded history and yet the witnesses never actually said it was the sun than flew through the air, they insisted that it was a second bright, oval object that glowed like pearl. Another appropriation is that the being that appeared to the children never said that she came from heaven but instead merely pointed upwards when asked where she was from. Throughout the entire series of apparitions the children never saw the being’s mouth move but explained that they heard her words through a buzzing sound that rang around them whenever the apparitions occurred. Another physical attribute that was changed by the Catholic Church was that the being was said to be less than three feet tall, and appeared to be bald. Over the course of interrogations and revisions, the children changed this appearance to that of a tall beautiful lady, more fitting to the Virgin Mary archetype of the church. Many other visionaries and spiritual leaders of this time also claimed to have received communications in a similar manner. Alice Bailey said that she was the recipient of messages from a higher civilization from Sirius. Aleister Crowley and Rudolf Steiner both received transmissions in 1904 which would go on to form their most famous works, The Book of the Law and Knowledge of the Higher Worlds and its Attainment , respectively. Going back even further in time, we have the experience and accounts of the Dogon people who claim that they too received their wisdom from beings from Sirius although the Dogon themselves are quite cryptic when it comes to explaining the methods of transmission and whether or not it was physical or immaterial messengers who contacted them. The Dogon have a very sophisticated level of knowledge of science and quantum mechanics, something that the early anthropologists could not have known about and some of modern sciences newest discoveries are only beginning to parallel what the Dogon have described for centuries and which they say they have known for thousands of years. A striking similarity exists between the ancient amphibious Gods, the Oannes, who were said to have arrived from the stars and brought civilizing skills to early humans, and the Dogon deities, the Nommo. The carvings of these gods and beings often show them immersed in waves, which may also symbolize their immaterial and quantum nature. Another interesting parallel is the phonetic similarity between Oannes and Noah who are both civilizers who emerge from the waters. This is further reinforced by the fact that the Biblical Noah and the story of the flood is a much older Sumerian myth connecting the Dogon to the myths and Gods of this time. Could it be that all of these deities emanate from the same place and the messages they bring change depending upon the culture and sophistication of the people who receive it? Is it possible that the star beings of the Hopi, the Kachina, who are also said to come from Sirius, are the same beings that appeared to the Dogon? The Hopi call one of their saviour gods Anu, which is also the name of the Babylonian sky god, for example. Could these deities also be the same messengers who appeared at Fatima and who were channelled by Aleister Crowley and Rudolf Steiner or are all of these transmissions some kind of unconscious, cultural impulse? When we also take into account many other religious movements which began with an apparition or a channelled transmission we begin to see a very ancient pattern emerging. Whether we examine Mormonism, the Abrahamic faiths, Buddhism, Hinduism or the various Shamanic traditions, the one common feature is the origin point where beings who claim to be from beyond the human realm are the instigators of a new paradigm. Is this just a coincidence or could it be something more profound? David Halpin is a writer from Carlow, Ireland. He compiles local folklore and documents alignments between ancient monuments near his home in Ireland, and is a regular contributor at Occultum.net and Ancient Origins. Dr Almeida Garrett. Official Fatima Witness accounts. Well I was with you until you wandered off topic with the painting of Guadalupe. It is, afterall, just a painting on fine linen not an Aztec peasants tilma, and one that’s been provably altered over the centuries. It’s likely a copy of the flag Columbus flew. Historically, there is no one named Juan Diego, nor a tomb, and the known Bishop of that time period doesn’t even mention the event in his writings. The story only comes to light 50-75 years after his death. Compared with the mass witnessing of a light disc moving about the sky at Fatima - The two are not even remotely similar. One has possibilities, whether spiritual or extraterrestrial. 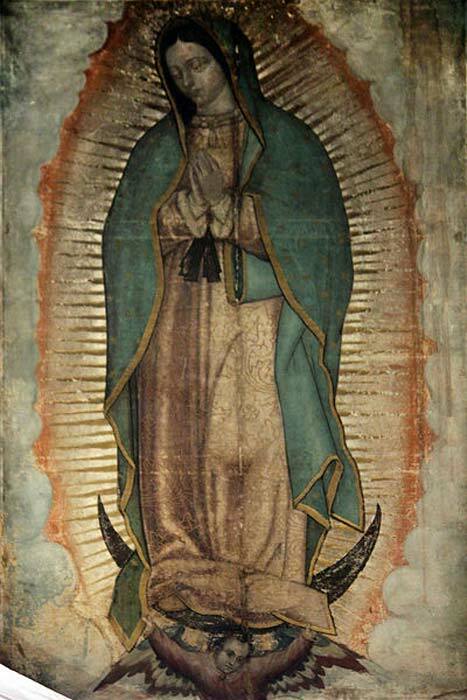 The other (Guadalupe) is just a hoax; Something concocted by the Chirch to supplant the pre-existing Aztec shrine of Tonazin on that same location. It is also very telling that the ultimate description of the vision of Fatima was altered as well to place it more in line with the Catholic church’s desires: from 3 feet tall and bald to a full grown woman with hair. Quite a leap (of faith).